Enter into the event to add/manage features. Click next step to add/manage event features. 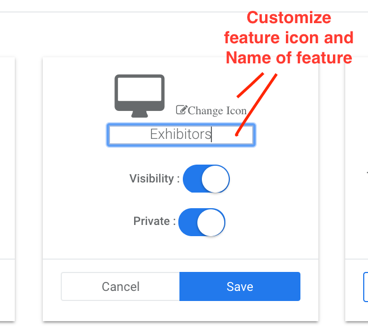 Select event features that you want to use for your event. You can manage the sequence of features with drag and drop. Click + hold and drag the feature in the order you want to arrange. The sequence and order can be changed even after an event app is published.